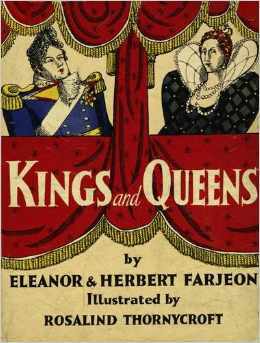 To strike a playful note for today, the poem I chose comes from a lovely children’s book titled Kings and Queens, by Eleanor and Herbert Farjeon, illustrated by Rosalind Thornycroft. This book was first published in 1932, and my new edition was published by the British Library in 2011. One of the feeblest of all of our kings. Giving him duchies and riches and rings. Sent by King Ned to his Sugar-plum Piers. On a find day for it, spring in the air. This entry was posted in History, Literature, National Poetry Month and tagged Edward II, Eleanor and Herbert Farjeon, Rsalind Thornycroft. Bookmark the permalink. You have made my day. I had a VERY early, threadbare copy of this book, bought for me by my older brother at a library sale in the early 70s. I had it and loved it for years. I have most of the poems memorized. Sadly, it was lost in a house fire in 2002. I could never find the names of the authors (in order to try to obtain another copy) until I found your post. (I entered the first line of Edward II on google!) Thank you so much for posting this! My pleasure, happy to reconnect anyone to cherished childhood books! I too loved this book as a child. 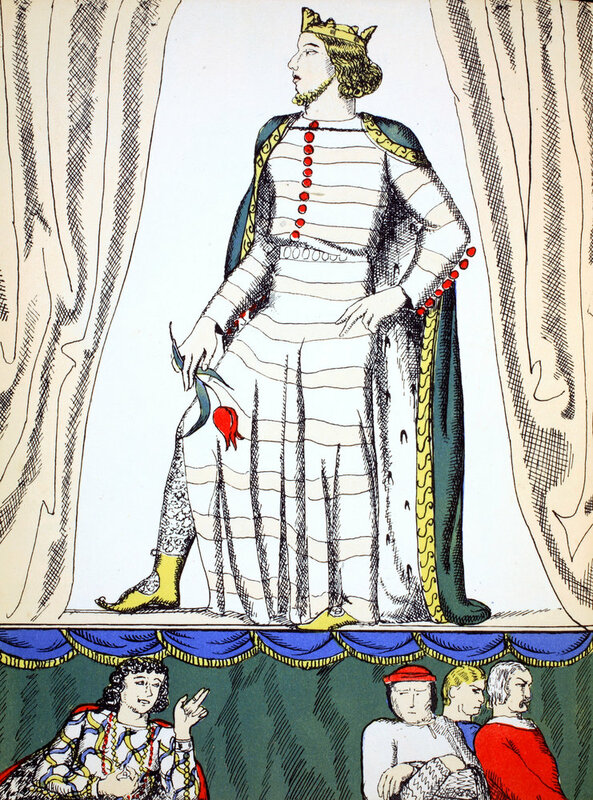 My love of and interest in British history is based on these lively, witty poems. I borrowed the book from the local library again and again until my parents finally bought the book for me. Then it got lost along with other childhood stuff when I grew up and moved away. I’m able to find the actual poems here and there, but not those wonderful illustrations. Thank you so much for posting them here.